Cavendish and Farrar have a history, but they've managed to put bad blood aside and have become good friends and teammates in 2016. 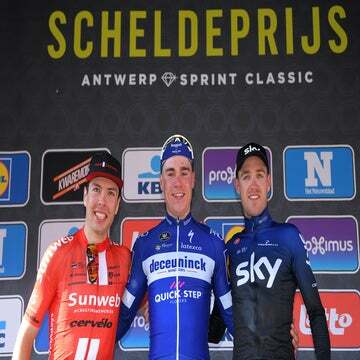 SCHOTE, Belgium (VN) — Once the most bitter of rivals in the sprints, Mark Cavendish and Tyler Farrar are now bosom buddies at Dimension Data. Farrar was one of the few riders who could challenge Cavendish in the Brit’s peak years, and there was no hiding the acrimony between the two. Flash forward to 2016, and these once-bitter adversaries are now teammates, and quickly becoming good friends. That’s not always the case. Cavendish would often ridicule Farrar for trying to challenge him in the bunch sprints, and Farrar returned the favor, once accusing Cavendish of taking pulls on the team car during the 2011 Tour de France. In 2010, Cavendish accused Wouter Weylandt, Farrar’s close friend who later died in a tragic accident at the 2011 Giro, of helping the American on a rival team in sprints during the 2010 Vuelta. Last fall, when word spread that Cavendish would soon be joining him on Dimension Data, Farrar said he welcomed his former foe with open arms. 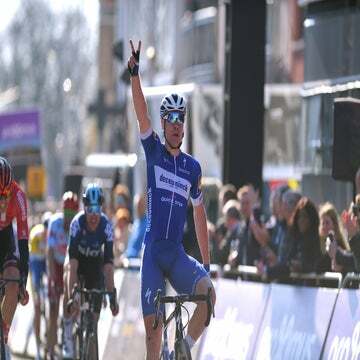 Racing together for the first time this season in Europe on Wednesday at Scheldeprijs, Farrar was burying himself to set up Cavendish in the race that the American won in 2010 — pure teamwork and sacrifice. On Sunday, they will line up again for Paris-Roubaix. Cavendish returns for only the second time of his career, while Farrar is hoping to bounce back from a nasty crash at the Tour of Flanders. Farrar and Cavendish, now brothers in arms, instead of an arms race.